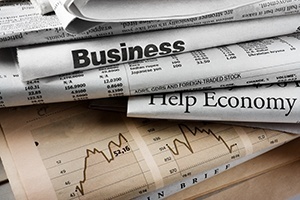 Last week was a busy one for economic news, with five major reports covering all areas. But this week, all eyes will be on the Fed. Let’s take a closer look. On Tuesday, the consumer prices report was released. The headline number, which includes food and energy, dropped as expected from a 0.5-percent increase in January to a more modest 0.2-percent increase in February, as surges in energy prices normalized. But the annual figure rose from 2.1 percent to 2.2 percent, also as expected. Core inflation, which excludes food and energy, performed as expected, dropping from 0.3 percent in January to 0.2 percent in February. Here, the annual figure remained steady at 1.8 percent. Despite concerns about rising inflation, these numbers suggest that conditions remain stable. Although prices may be rising, they continue to do so at a controlled rate. On Wednesday, the retail sales report disappointed. The headline number, including autos, went from a 0.3-percent decline in January to a 0.1-percent decrease in February, against an expected February gain of 0.3 percent. While some of the shortfall was offset by an upward revision of the January loss—from 0.3 percent to 0.1 percent—this was still much weaker than expected, as auto sales disappointed and gas prices declined. Core sales, which exclude autos and gas, did improve as expected. They went from a decline of 0.1 percent in January, revised up from 0.2 percent, to a 0.3-percent increase in February—which was in line with expectations. Overall, while this is a weak report, it is not as weak as the headline number would indicate. It does suggest that consumer spending may be slowing despite high confidence and the tax cut. On Thursday and Friday, respectively, we got a look at housing with the National Association of Home Builders (NAHB) industry survey and the housing starts report. The NAHB survey dropped from a downwardly revised 71 in February to 70 for March, which is still a high level, apparently based on supply and labor shortages. Housing starts also did worse than expected, dropping back from a surprise jump in January to a 16-month high of 1.329 million to 1.236 million; this was below expectations of 1.29 million. Building permits were also down and came in below expectations. Overall, these numbers raise the possibility that the housing market has peaked and is starting to slow. For some good news, on Friday, the industrial production report did much better than expected. The headline figure rose from a downwardly revised decline of 0.3 percent in January to a gain of 1.1 percent, well above the expected 0.4-percent gain. A decline in utility production due to good weather was more than offset by increasing energy production, which should be additive to growth this quarter. Manufacturing did even better, from a downwardly revised 0.2-percent decline in January to a 1.2-percent gain in February. These results suggest a recent slowdown may be reversing on a weak dollar and strong global growth. With both oil production and manufacturing showing strength, there may be upside for much faster growth here. Finally, and also on Friday, the University of Michigan consumer confidence survey surprised to the upside. It rose from 99.7 in February to 102 in March, which is well above the expected small decline to 99.3 and the highest level in more than a decade. Stock market volatility was apparently offset by faster employment growth. This result, combined with the fact that other confidence surveys have surprised to the upside, suggests consumers continue to expect the economy to improve, which should support continued growth. On Wednesday, the Fed will release its statement for the March meeting, which is widely expected to show a 25-basis-point increase in interest rates. This will be followed by a press conference at which new Fed Chair Jerome Powell will have his first chance to explain his thinking in this format. Markets will be looking for hints about whether and when more rate hikes will be coming. Housing is another focus this week. The existing home sales report, released on Wednesday, is expected to show that sales rose from 5.38 million to 5.43 million in February. This would be only a partial recovery after last month’s significant decline. On Friday, the new home sales report is also expected to show a gain for February, from 593,000 to 620,000. Again, this would represent only a partial recovery after a significant decline. In conjunction with the recent pullback in builder confidence, these reports will give us an indication of how the housing market is trending. Finally, on Friday, the durable goods orders report may show better news for business investment. The headline index, which includes transportation, is expected to recover from a monthly drop of 3.6 percent in January to a gain of 1.6 percent in February, on a recovery in the extremely volatile aircraft orders segment. The core orders report, which excludes transportation and is a better indicator for the general economy, is also expected to improve, from a decline of 0.3 percent to a gain of 0.5 percent. This would be a positive sign, suggesting that business investment is not slowing as much as earlier data had suggested.